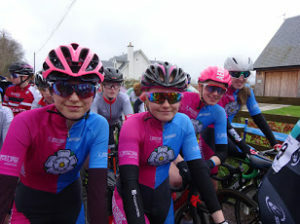 Last weekend saw Eleanor Hunt travelling North with seven other Yorkshire riders to compete in The Youth Tour of Scotland. 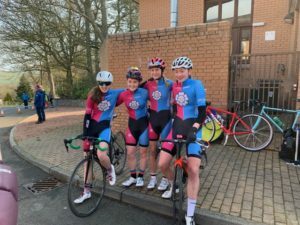 The three day event based at Strathallan School Perth covers four stages entered by 20 teams of four girls and 20 teams of four boys from all over the country competing in separate races. 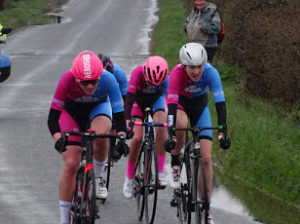 Day one was 5 laps (33km) of a great circuit on undulating roads with a fast twisty decent to the finish line, conditions were grim temperatures were just above zero and heavy rain causing a lot of surface water. 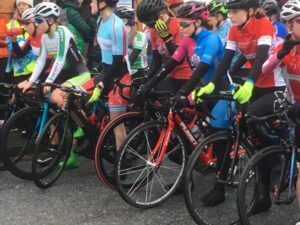 A big crash on the run in to the finish saw a lot of riders hit the deck but Eleanor came in a creditable 36th and the team finishing in 4th position. 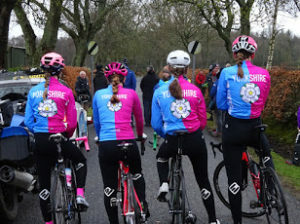 Day two started with a 6.9 km Team Time Trial on a lumpy course with a stiff wind blowing, the girls rode well and finished in a time of 10.22 mins to claim 6th fastest team on the stage and overall. 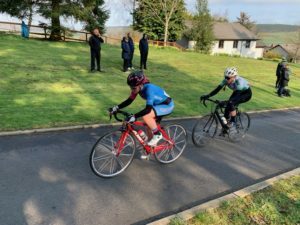 Stage 3 later in the day on the same course as the TT but over 5 laps, was a fast race with Zoe Backstetd breaking away from the group for a lone win. 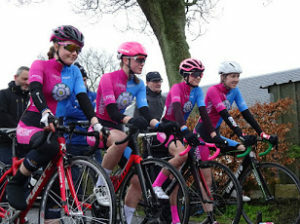 Eleanor rolled in with the main peloton in 40th place the team staying in 6th place.